Will the groundhog see his shadow or not? No matter. 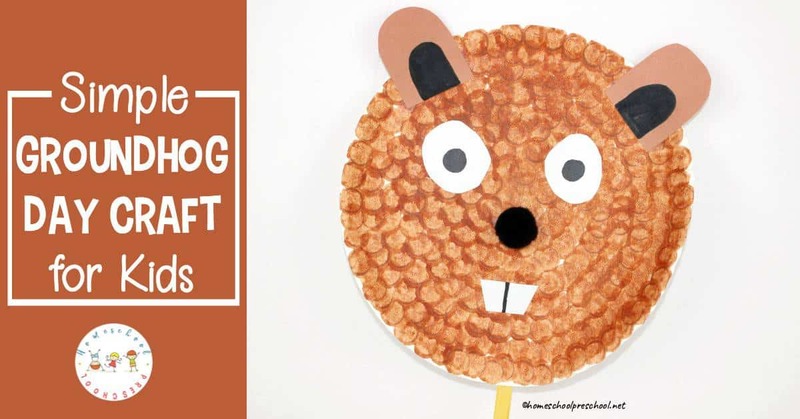 This Groundhog Day craft is the perfect activity to do with your preschoolers! I love focusing on Groundhog Day with preschoolers. It’s so much fun trying to predict whether or not Punxsutawney Phil will see his shadow. Little ones love debating whether we’re going to have an extended winter or an early spring. They’ll love making this simple groundhog craft with just a few simple supplies you’ve probably got on hand already. 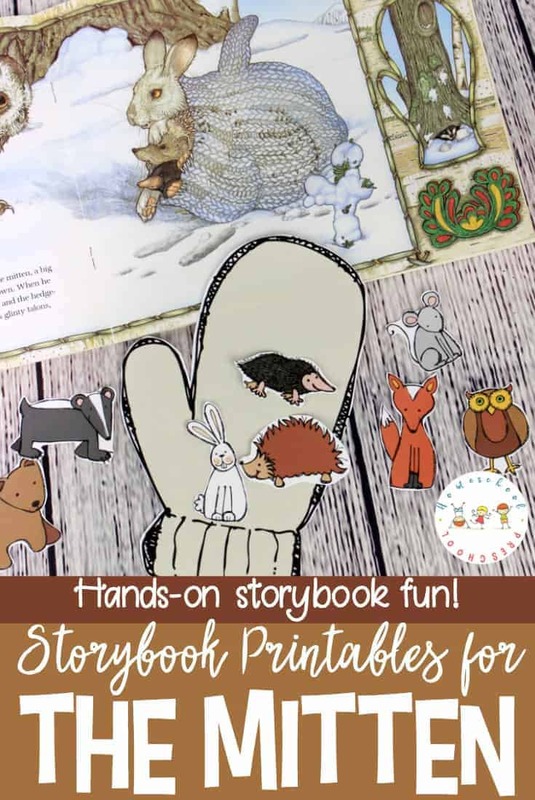 You could use this craft to tell stories about Punxsutawney Phil, to act out his emergence from his burrow, or any other creative ideas your preschoolers come up with. 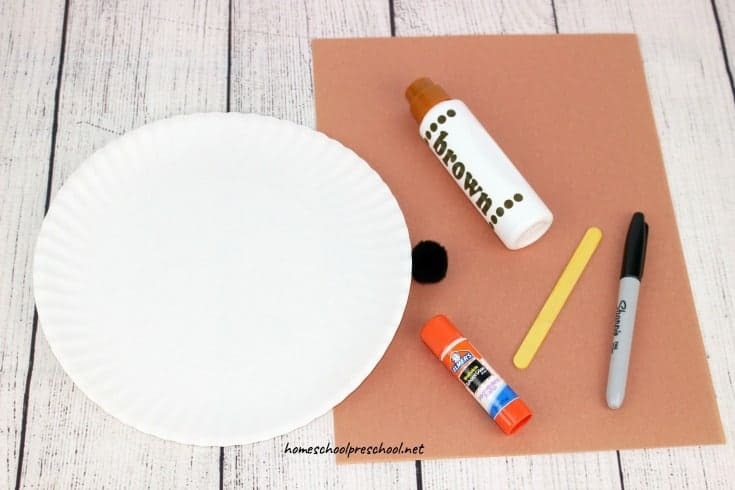 Have your child cover a paper plate with brown dots using a dot marker. If you don’t have dot markers, your kids can use paint, markers, or crayons to color their plate brown. Set the plate aside to dry (if you used dot markers or paint). 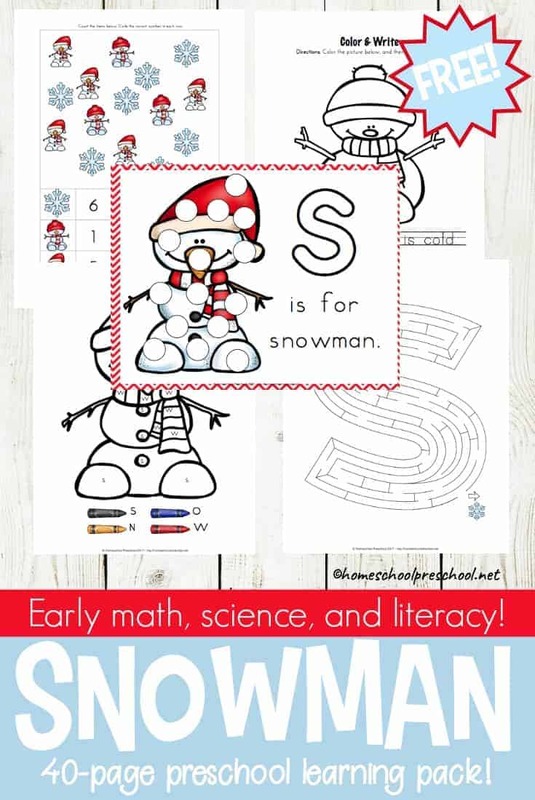 Meanwhile, your little ones can start cutting out the pieces they’ll need to complete their groundhog craft. Cut one large brown oval. Cut this in half to make the groundhog’s ears. Cut a smaller black oval, and then cut it in half to make the inner ear. Cut two circles for the groundhog’s eyes. Draw black pupils with the marker. If you have a black dot marker, your child could use it to make the pupil. You could also use googly eyes. Or, your little one may want to cut out two eye holes so they can turn their craft into a groundhog mask. Cut a small rectangle shape out of white paper, and then divide it in half with a black line. Glue the eyes, ears, and teeth to the paper plate once it’s dry. Add a black pom pom (or button) for the nose. 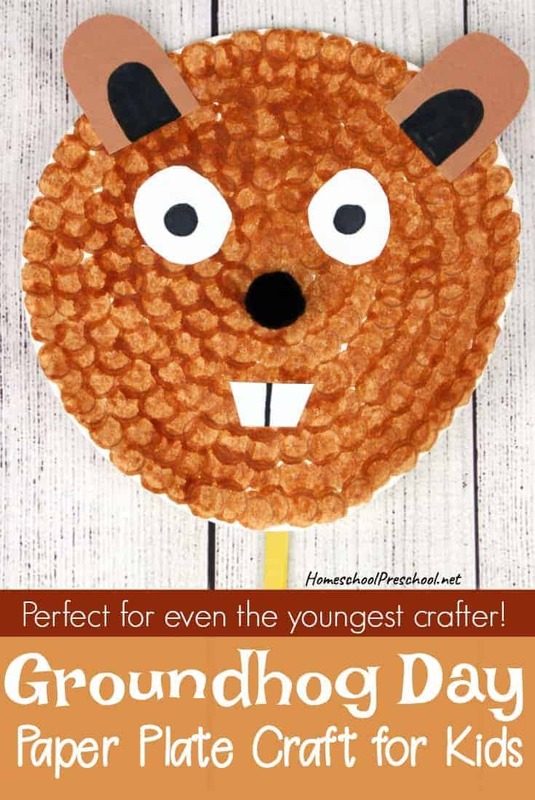 Your children can glue the groundhog craft to a craft stick to use it as a puppet. They can display their artwork on the refrigerator for all to see. If you’d like to read them some stories about groundhogs or Groundhog Day, I recommend the books below. You should be able to find them at your local library. If not, you can order them on Amazon by click on the affiliate links below. • Grumpy Groundhog – It’s Groundhog Day, and everyone is gathered to find out if it’s time for spring. But Groundhog does NOT want to leave his cozy bed in his cozy den. Will the townspeople be able to coax him outside to do his job? • Gregory’s Shadow – Gregory is a shy groundhog, and having his friend Shadow close by makes him feel brave. But one day Gregory and Shadow go outside to look for food, and they get separated. Scared and lonely, they search and search for one another. To make matters worse, tomorrow is Groundhog Day, and everyone will be waiting to see if Gregory and his shadow leave their home together. Will the two friends find each other in time for Groundhog Day? • Groundhog Day! Shadow or No Shadow – Every February second, people all across the country wonder about the groundhog Punxsutawney Phil. Will he see his shadow on that day, or won’t he? Will spring come early or late? Gail Gibbons’ clear, simple wording presents information about Groundhog Day, its origins, and the animal at the center of this delightful annual event. 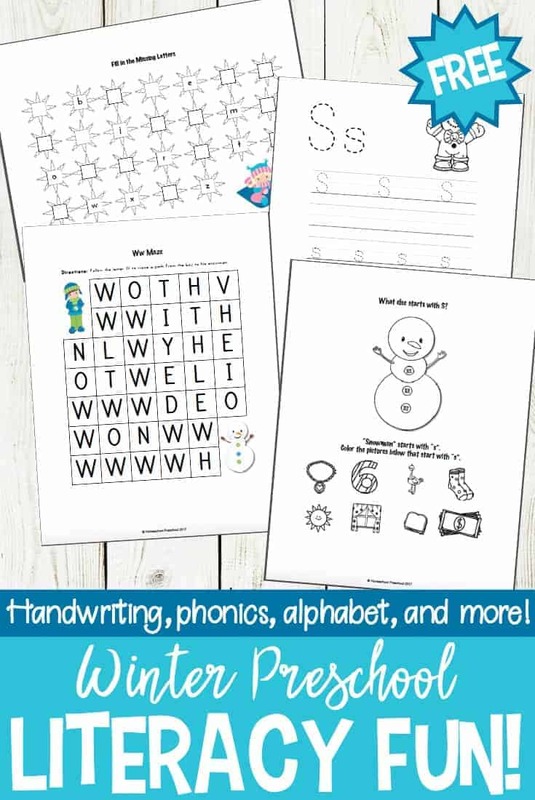 For even more learning activities featuring winter animals, check out these great posts from some of my blogging friends!